This community archaeology project, based on Anglesey, will centre on the Bryn Celli Ddu landscape — with a particular focus on a rock art outcrop located in a nearby field that has not been excavated scientifically. The site comprises a substantial natural outcrop, lying west of Bryn Celli Ddu tomb. The outcrop has several recently identified cupmarks on its surface, clustered into different groups. The site sits near to the Bryn Celli Ddu passage tomb, which is a remarkable and mysterious structure on an island rich in prehistoric remains. Like other prehistoric tombs on Anglesey it was constructed to protect and pay respect to the remains of the ancestors. This projects looks to the landscape in which Bryn Celli Ddu sits. The rock art outcrop may be deeply important in understanding human activity in the locale, as people used and re-visited the area. This evidence for prehistoric activity raises the potential that the landscape settings — and referencing between monuments — were important for the development of the landscape in the past. A series of volunteering opportunities, workshops and events will be running at Bryn Celli Ddu in June 2015, and volunteers are now sought to take part in the excavation. 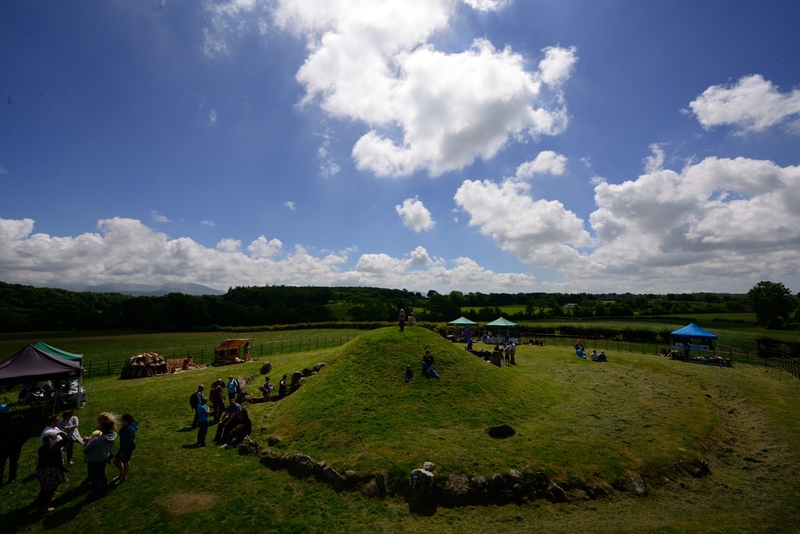 An Archaeology Open Day will take place on the 20 June at Bryn Celli Ddu itself, with workshops, art installations and tours of the Bryn Celli Ddu monument and the excavation. If you’d like to get involved, please email CadwPublicProgrammes@wales.gsi.gov.uk for more information.